"Where the Best Players Meet"
When it comes to having fun and relaxation after work or just recreation at the weekend, why not come to the number one pool and sports bar in Bangkok? Hustlers is without doubt the best place to go. 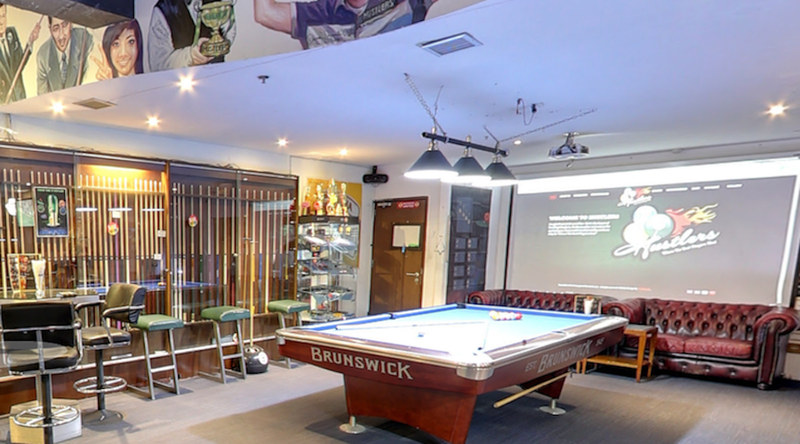 Our bar is over 380 sqm and has 11 full size Brunswick pool tables, which are maintained to the highest standards, using championship cloth. We have 9 big screen TV's showing all the latest sports action from around the world and a modern big projector screen showing your favorite music videos. The atmosphere in Hustlers is very warm and relaxed. It's like a home from home with lovely decorations, brick feature walls and fully carpeted throughout. The staff at Hustlers are always helpful and friendly. Our beautiful girls will look after you when playing pool and they will provide the absolute best table service. Our girls also love their pool as much as the customers do and would be happy to challenge you for a game or maybe a drink or two! But beware these girls can be very good players. 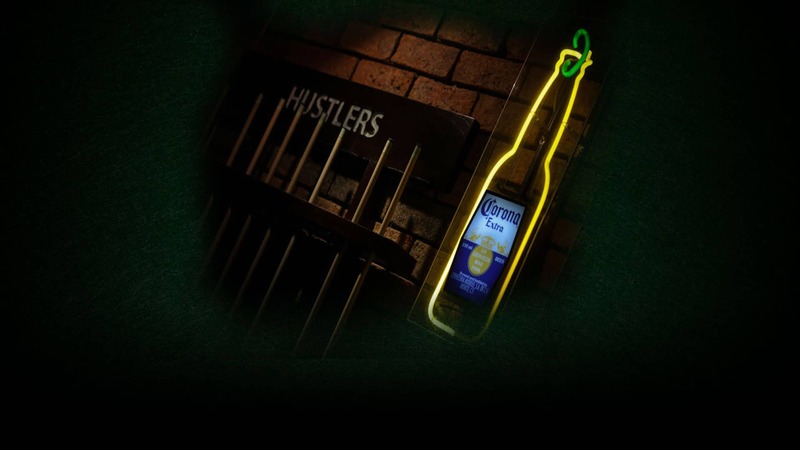 Hustlers is a place where you can come alone, come with friends and family, come have fun and come make new friends. Every nationality enjoys pool and all are very welcome! Why not join our weekly Sunday competitions or just relax have a drink and watch sports. Hustlers is a perfect oasis in the center of bustling Bangkok. Come visit us soon and find out why we are the number one pool venue that everyone is talking about. Meantime catch us on Facebook – www.facebook.com/hustlersbangkok to see what we have been up to and future events coming soon. We look forward to seeing and serving you and most importantly having fun together. Cheers! Hustlers runs a competition every Sunday. We have both single and doubles competitions on alternate weekends. Every player is given a handicap so its equal chance for all! 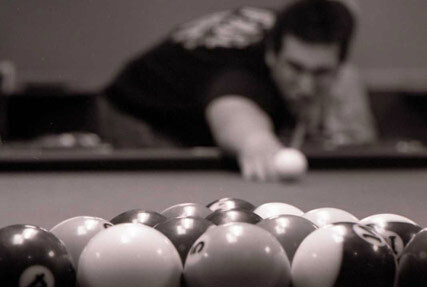 Come join in the best run pool tournament in Bangkok! 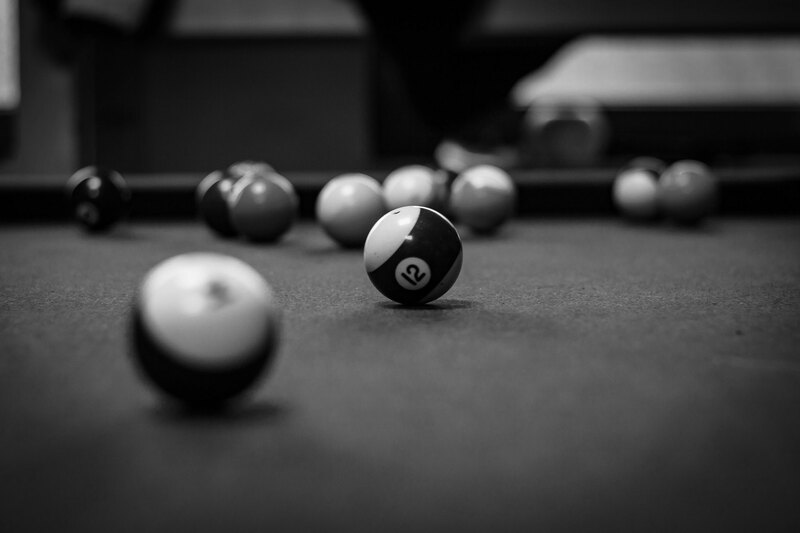 We also have regular pool matches on Monday and Wednesday evenings in the local pool league. We are happy to have new players join our team or even start their own team! Come join one of the leading teams in Bangkok! Hustlers Bangkok has many big screen TV's so you can watch all your favourite sports channels. From Formula One, Cricket, Rugby, Snooker or the Premiership League action. If you have a special sports channel you need to see, we would be happy to accommodate – just ask! Come join us and watch in comfort with a refreshing drink at hand and a perhaps a tasty bite to eat served from our Thai restaurant or maybe have a slice of pizza or two! You deserve it! 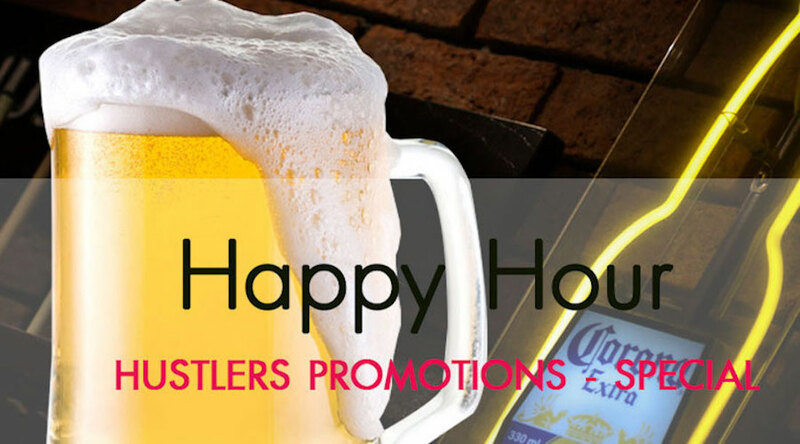 Every day we have a Happy Hour promotion from 5:00PM until 7:00pm. For local bottled beers we are one of the cheapest in town! So come down and relax with us soon! You deserve it! Check out our Facebook homepage for details about upcoming events including fun tournaments and celebrity visits. 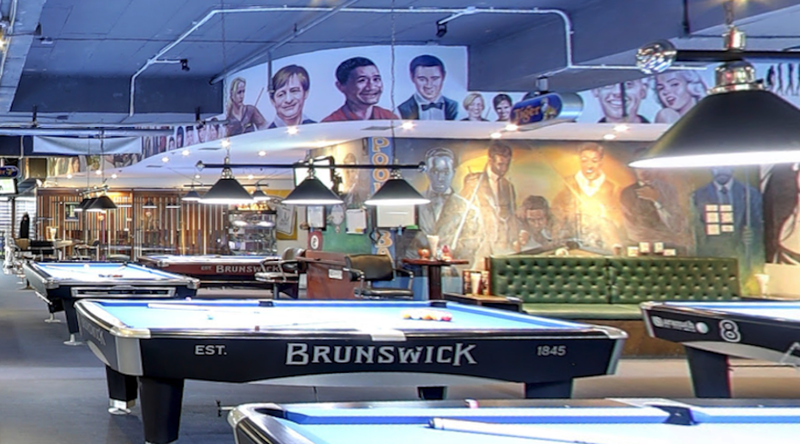 Past VIP guests include Jimmy White, Thorsten Hohmann, Efran Reyes, Corey Deuel, Shane van Boening, Darren Appleton and many more top pool and snooker players. 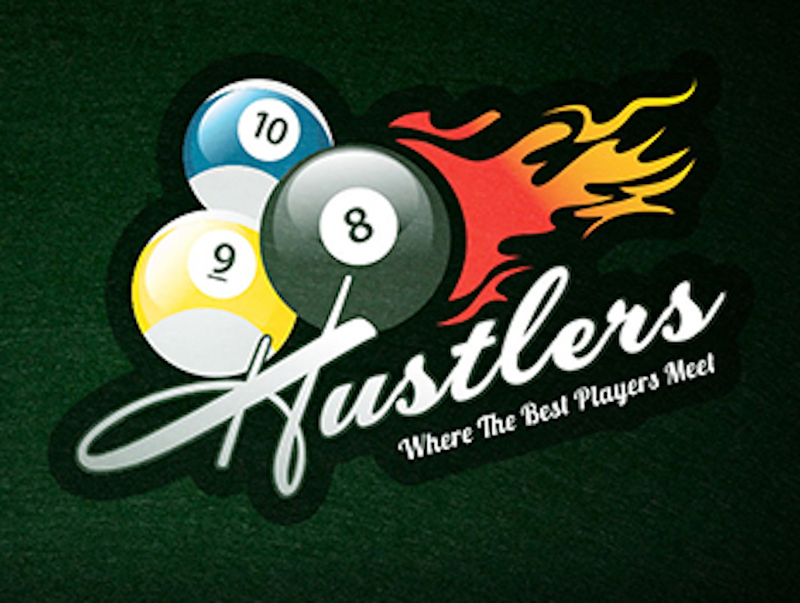 Hustlers Bangkok is proud to offer a wide range of professional cue's, break cues, jump cues, cases, cue tips, chalk, gloves and much more. A large selection is available at Hustlers. For prices and information do not hesitate to visit. We also sell our very own exclusive polo shirt. Why not take a piece of Hustlers back home with you. Let everyone know you were in the number 1 pool spot in Bangkok! 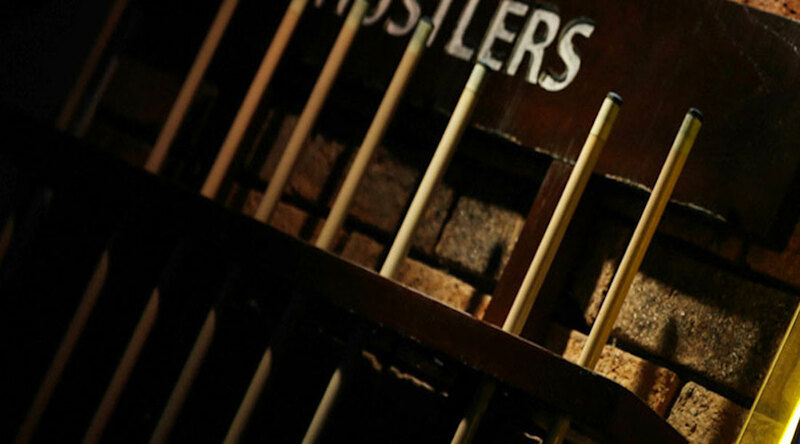 Read our latest articles and find out why Hustlers is the number one sports bar and pool hall in Bangkok. Situated in the heart of Sukhumvit road near Asoke BTS Sky Train/Terminal 21 Shopping Mall, you will find us in the Times Square Building.